Yesterday on the Bull Runnings Facebook page I shared this older post of an example of uniforms of units present at First Bull Run by artist Bartek Drejewicz. 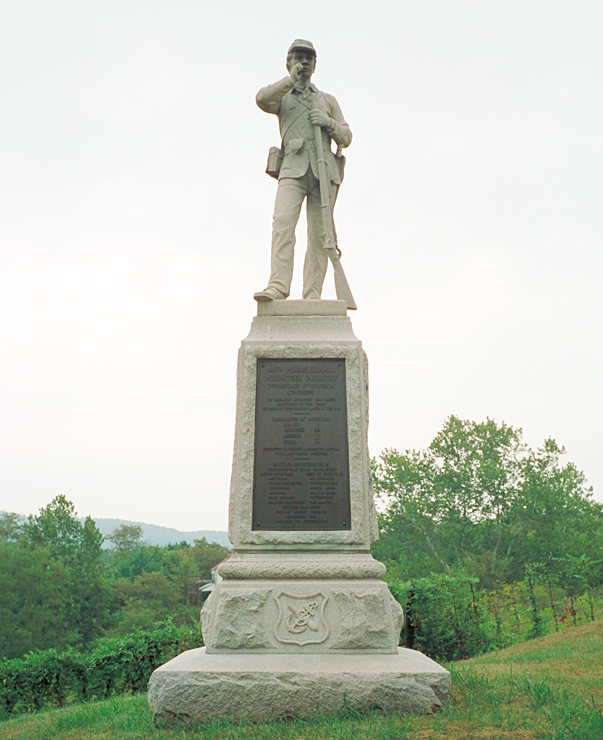 I had meant to share others of his (besides these), but one thing led to another…So, without further ado, see here the magnificent 11th Mississippi Infantry, two companies of which were in Barnard Bee’s brigade. Our girl wears the uniform of Co. A, the University Grays, so she must have been an early co-ed at Ole Miss, whose student body, along with some faculty, enlisted in the company nearly en masse. 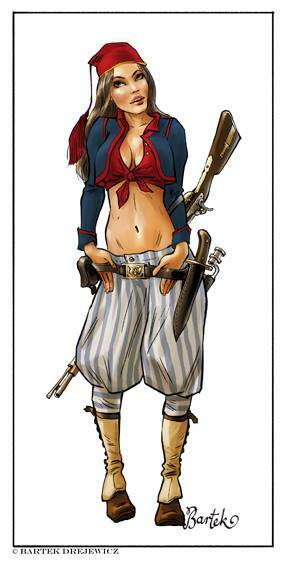 She carries a wooden canteen (probably because she’s hot), wears a Hardee hat, and sports stiletto brogans. If she’s not applying gloss or injecting collagen, she’s in position number three, “Tear Cartridge,” of the ten step loading and firing process. 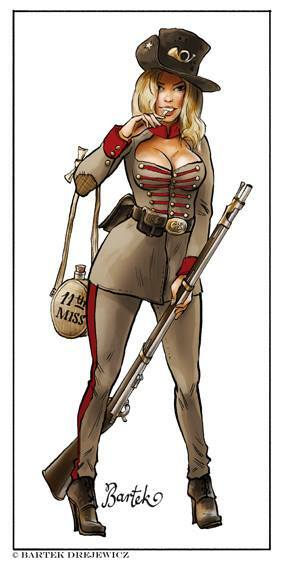 Yeah, she’s holding that musket incorrectly. Can you forgive her? See here for a story on the 11th’s flag, which currently resides at the wrong national park. Here’s another from Bartek Drejewicz. Company B of the 2nd U. S. Artillery was not at First Bull Run, but sister companies A (Tidball), D (Arnold), E (Carlisle), G (Greene), & M (Hunt) were all there, so raise your eyes a bit and change the B on her Hardee hat to any one of those and you get the picture. Bartek is a classically trained artist, and tells me that the prolong in his redleg corporal’s grasp is meant to mimic this piece of classic Greek sculpture, Laocoön and His Sons. Pliny the Elder attributed the work, said to be an “icon” of human suffering, to Rhodian sculptors Agesander, Athenedoros, and Polydorus. The sculpture now resides in the Vatican, but in Pliny’s time was in the palace of the Emperor Titus. 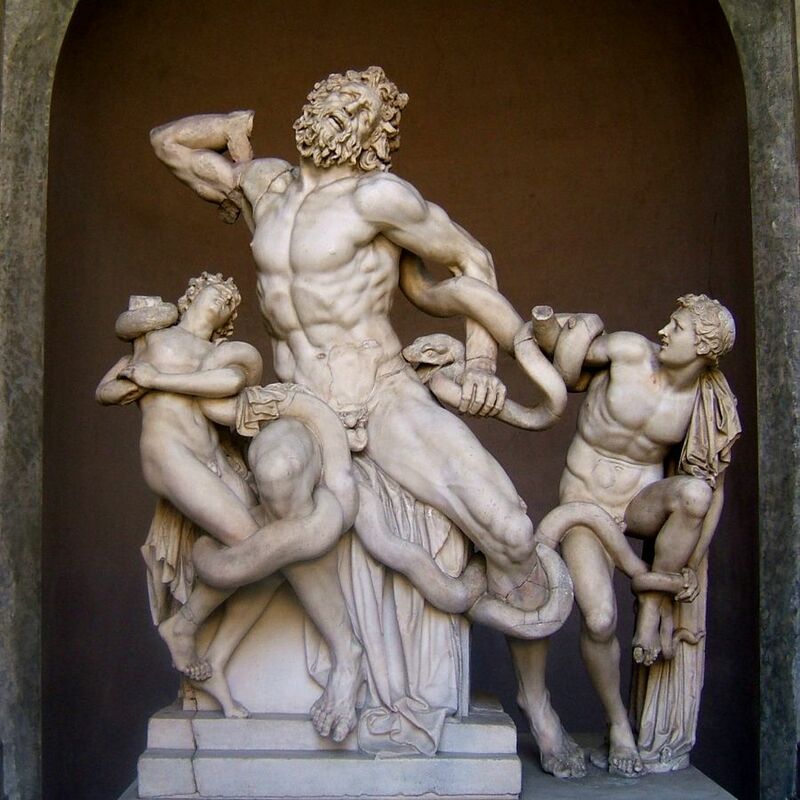 There are several versions of the story, but the long and short of it is that Laocoön was a Trojan priest who was punished by the gods for some transgression. 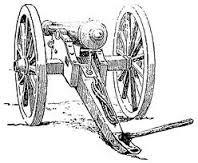 Learn everything you ever wanted to know about cannons at To the Sound of the Guns. WARNING – Fun stuff ahead. If you are easily offended, that is, super-easily offended, or if you’re just looking for a fight, run away now. And people ask me “why the interest in First Bull Run?” But really, take a look at the uniforms, if you can. He got more right than he got wrong, don’t you think? On the Tiger – gaiters, Bowie knife. And check out the WA on the artillerist’s kepi, and the short artillery sword. This weekend, friend Mike DelNegro of Ashburn, VA, hipped me to an old song by the band Pavement, which ties together the band R. E. M. (see here for more on them and the Civil War) and First Bull Run participant William T. Sherman. Enjoy! Southern boys just like you and me. Time After Time was my least favourite song. And the drummer he knew restraint. And the guitar player was no saint. And here’s a “web series” episode of “Star Trek Continued.” My friend Jerry hipped me to this. It’s all pretty cool, and captures the feel of the original series. In this one, Kirk and McCoy are transported to the American Civil War and…well, you be the judge.